Organisers of Frampton Cotterell’s annual festival are promising another entertaining family day out. Organisers of Frampton Cotterell’s annual festival are promising another entertaining family day out. Preparations are almost complete for the local event which offers a host of attractions and live music in Centenary Field. The free festival takes place on Saturday 15 July in Centenary Field, Mill Lane, starting at 2.00pm and finishing at 10.00 with the lighting of the parish beacon followed by a fire work display. The festival committee have been organising the event since January. Professor Panic’s Circus returns, along with a variety of fairground rides, engine rides, and a flight simulator. 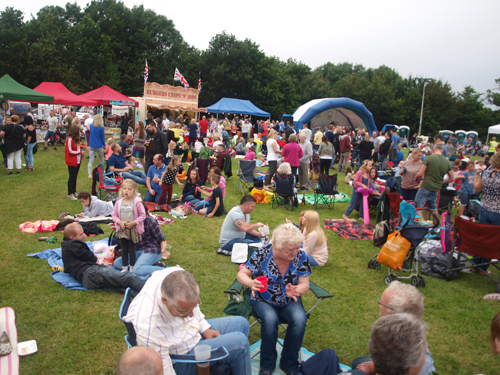 The festival opens with the Thornbury Brass Band, and events include a fun dog show. Musical entertainment will be provided by Kirris Riverse, Hicktown Breakout, Ashton, with local band Elevation rounding off the festival. Well behaved dogs are welcome at the festival.